All donations are non-refundable. To get tax-deduction of 2.5 times your donation amount, email michelle_too@doverpark.sg/ call +65 6500 7275 / go to www.bit.ly/dphfave. 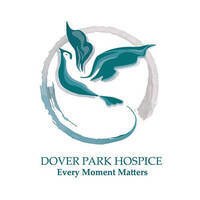 Dover Park Hospice was founded in 1992 as a secular, nonprofit organisation to meet the growing need in Singapore for hospice care for terminally-ill patients. It is Singapore’s first purpose-built hospice, designed to provide a serene environment close to nature. All donations received will go towards helping their beneficiaries and families under their care.